A YEAR OF JUBILEE REVIEWS: Lilla Rose Black Friday Sale!! These Flexi Clips are so beautiful and you won't want to miss this great sale! 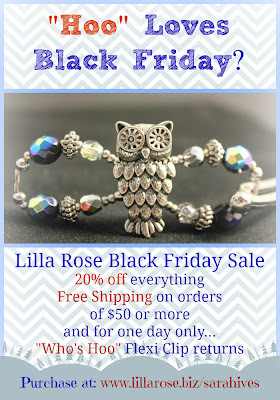 Click on the owl above to go directly the Lilla Rose! !